Bodega Bar & Cantina, 209- 9GA,, 211 Monton Rd, Eccles, Manchester M30, United Kingdom was visited by Trading Standards Officers in August of 2015 after a fake vodka distillery was raided in the North West. Concerned that Bars, Pubs and retailers might in possession of the fake vodka, Trading Standards Officers paid visits to establishments. Bodega Bar & Cantina, was found in possession of 8 bottles of Glens Vodka that roused the suspicion of officers. After confiscating the bottles and sending them for testing, it was confirmed that the 8 bottles seized contain fake vodka. The owner of Bodega Bar & Cantina, which has high reviews as a champagne and cocktail bar in an upscale neighborhood was found guilty of possessing fake vodka at a hearing on September 14, 2016. T John Eric Spiby, 71, a director of Wine Bar Supplies Ltd, the listed owner of Bodega Bar & Cantina, was fined £2,000, ordered to pay costs of £800 and £175 victim surcharge. 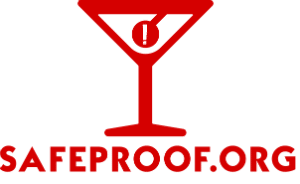 When a high priced bar like Bodega Bar & Cantina, knowing serves counterfeit liquor to its customers, who pay a premium price for alcoholic beverages, decide to increase their profits by risking the health of their clients, a fine seems insignificant. This offense by Bodega Bar & Cantina, is a blantant disregard for their customers.